Ever since we saw a first look photo of Angelina Jolie as the Disney villain Maleficent, there has been much to report. No more photos have surfaced, and we've been waiting for a trailer (it's here - watch the teaser now). The film was moved up over a month in the release schedule when Disney had to shuffle The Good Dinosaur and other Pixar titles, and now we get one more glimpse of Jolie with wicked eyes and devilish horns in the first teaser poster for the film coming next summer. It's not remarkably different from the first photo, but the trailer should paint a better picture of the story focusing on the sorceress. Look now! Robert Stromberg (a production designer on Alice in Wonderland and Avatar) is making his directorial debut with Maleficent from a script written by Linda Woolverton (The Lion King, Beauty and the Beast). Angelina Jolie plays the title villain from the classic Disney film Sleeping Beauty in this live-action spin that also stars Sharlto Copley (District 9), Elle Fanning (Super 8), Sam Riley (On the Road), Imelda Staunton (Harry Potter and the Order of the Phoenix), Juno Temple (Atonement) and more. 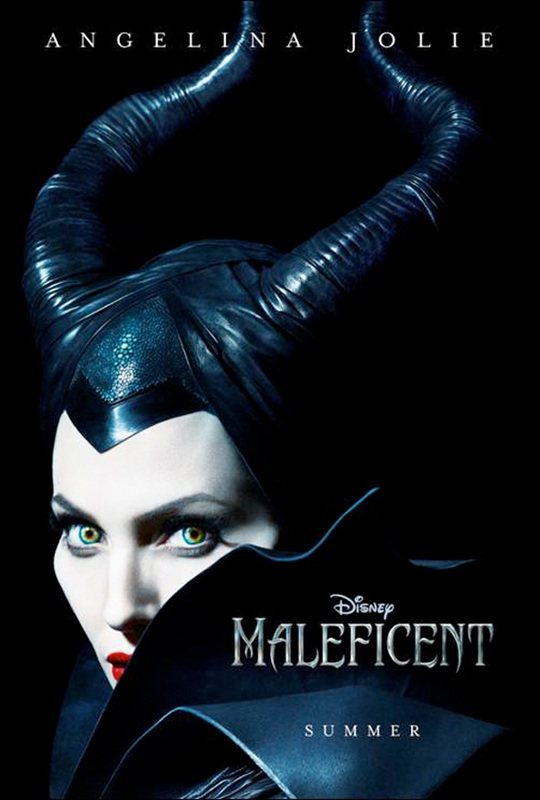 Disney sends Maleficent to theaters everywhere in 3D on May 30th, 2014. She's here - see the teaser trailer! Getting excited? Theron did great job in Snow White , but i think Joli beat her HARD. Nice! Looking forward to seeing Elle Fanning in a movie again. Oh my GOD, this is what I am waiting for. After Snowwhite, it's Aurora! 😀 I really love Angelina and I am looking forward in her being wicked.